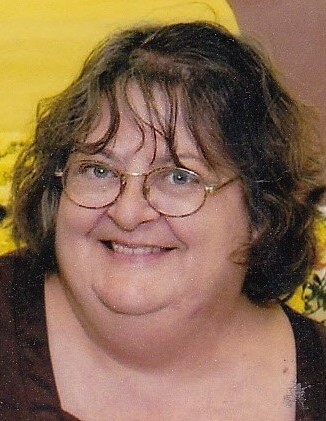 Patricia Ann Harmon, age 60, of West Liberty, Ohio passed away at 12:45 A.M. Thursday, April 4, 2019, at home surrounded by her family. She was born in Bellefontaine, Ohio May 18, 1958, to the late Alfred Franklin and Betty Louise (Wren) Wooten. On November 6, 1977, she married Mark Harmon in West Liberty and he survives. She is also survived by her two children, Matt (Alyssa) Harmon and Amy (Jason) Taylor; four grandchildren, Nicole, Christopher, Sara and Jayden Taylor; two sisters, Debbie Lamb and Gloria Alig and a brother, Michael Wooten. A 1976 graduate of West Liberty-Salem High School, Patti was a homemaker and had worked at Honeywell, formerly Grimes in Urbana. She enjoyed sewing, making crafts, and most especially spending time with her grandchildren. A celebration of life service will be held at 3:00 P.M. Saturday, April 6, 2019 at the South Union Mennonite Church in West Liberty. Inurnment will be at a later date at the Calvary Cemetery in Tremont City, Ohio. The arrangements are in care of the staff of the Eichholtz Daring & Sanford Funeral Home in West Liberty.